The great Queen of Soul, Aretha Franklin will be returning to the studio with Babyface and Don Was with Clive Davis as Executive Producer of the project. Clive Davis already announced that she would record song made famous by other Divas. 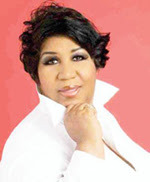 Aretha is no stranger to covers and she has made a heck of a career out of making those covers hits. 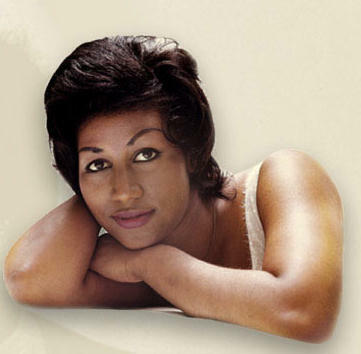 The most famous cover of Aretha's career is RESPECT which was originally written and performed by Otis Redding. Other popular covers include: Bridge Over Trouble Waters, Spanish Harlem, Don't Play That Song For Me, and Oh Me, Oh My, I'm A Fool For You. I'm a bit surprised that both Aretha and Clive Davis mentioned that she would be recording a version of Etta James At Last considering Aretha has already covered that song many moons ago. I think it would be pretty awesome to hear Aretha Franklin cover some modern songs from Adele, Elle Varner, Alicia Keys, and maybe even Beyonce. Either way I'm very happy that the legendary Queen will be returning to the studio with Clive Davis heading the project.